Our first photos below are from ‘Brit & Co.“. 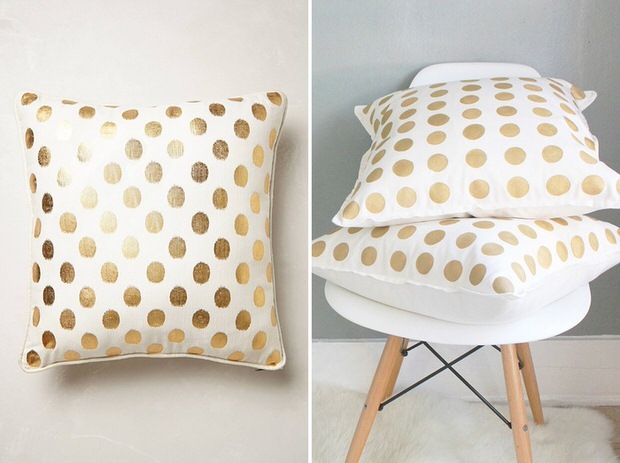 These Anthropologie inspired DIY gold polka dot pillows don’t get much easier! Love the gold metallic…what about silver too? 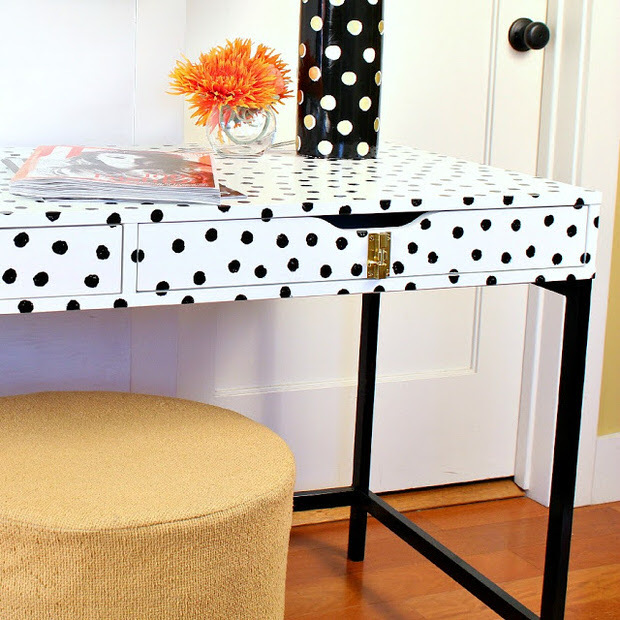 From ‘Make Your Mark’, this Ikea hack Kate Spade inspired DIY desk will save you over $3300 from the original! And it looks almost identical! 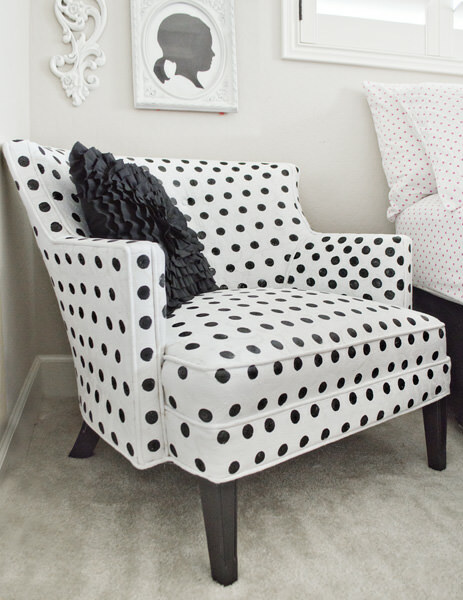 The black polka dots are painted on in an easy DIY technique. Visit ‘A Little Craft in Your Day‘, to see a collage of photos that is the tutorial. It does a great job of explaining how to get this artwork done! In case you are wondering, it’s with those large hole punches they use can be found in the scrapbooking section of a good craft store. Love the colors! You could also do this polka dots project with leftover wrapping paper, children drawings or decorative scrapbooking paper. Also, would a glue stick be easier than mod podge? 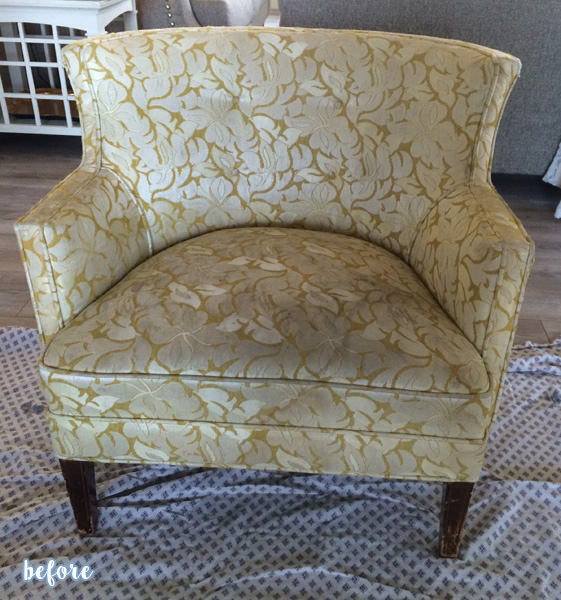 Lindsay at ‘Better After‘ teaches us how to paint polka dots upholstery! Yes, paint! Before you pooh pooh this, (c’mon, you’re more creative than closed minded, right? ), check out her before and after… So cute! 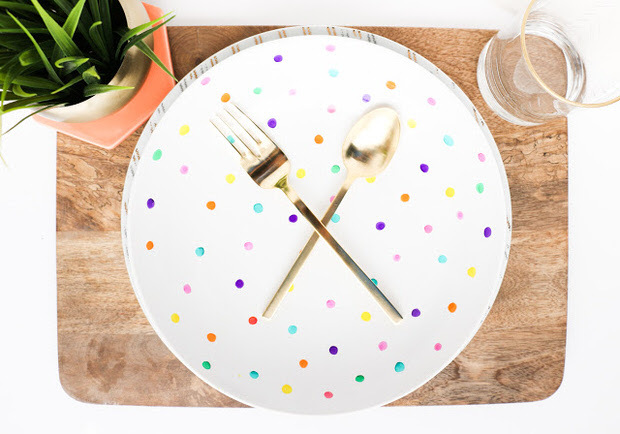 From Kara at ‘A Kailo Chic Life‘ comes these ah-mazing DIY polka dot plates. I drooled over quite a few of these at the holidays in the stores, in gold dots. They are done with ceramic paint pens, and can be set to be food safe in the oven. Gotta find out if they have these pens in metallics! 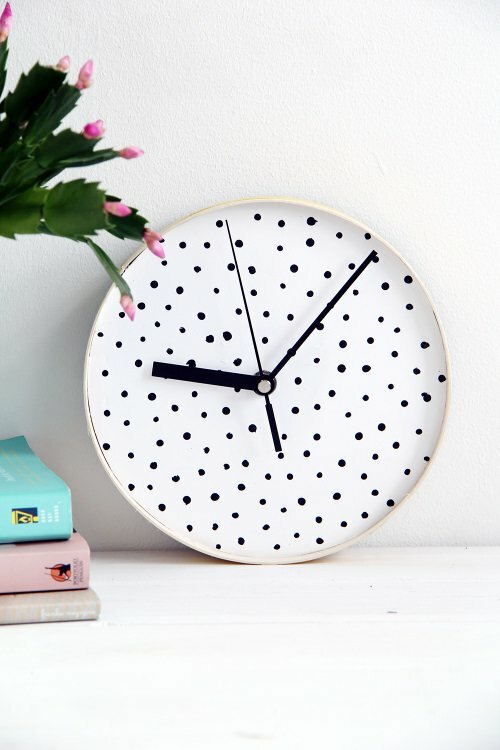 This DIY polka dotted wall clock from Francesca on ‘Design Sponge‘ might be my new office clock. So modern and yet so much fun! Easy to follow tutorial. If you have a boring wall space you want to “wake up”, this would be a great project. 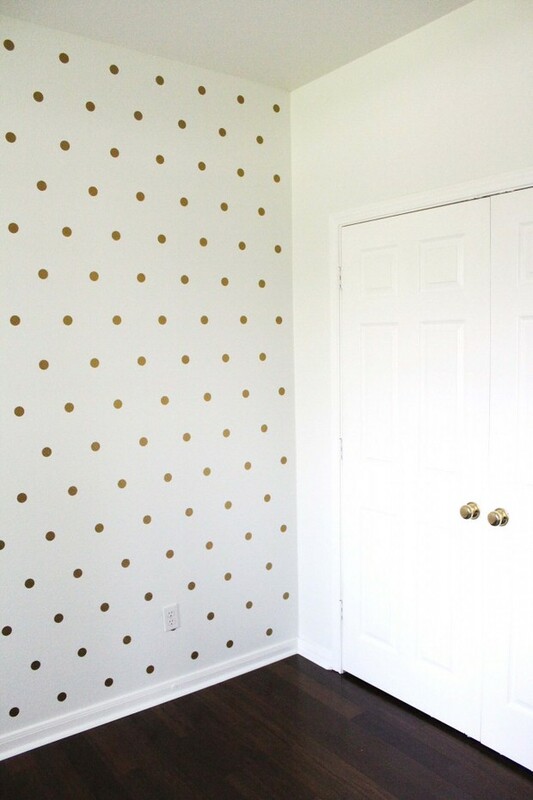 Want to know how to do a DIY polka dot wall? Lucky you, Taylor at ‘Taylor Made Creates‘ has just the tutorial for you. 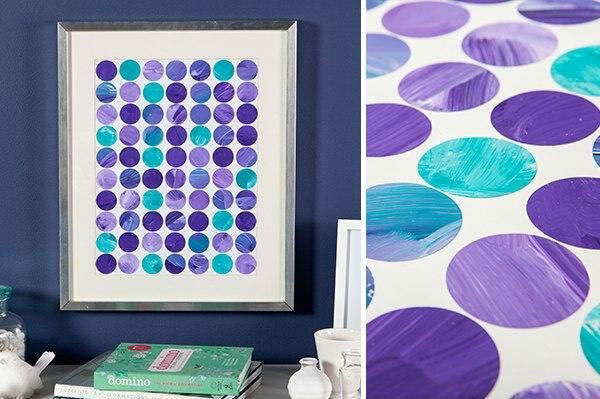 She used her Silhouette machine to cut out these dots, but you could also use a large hole punch from the scrapbooking section at the craft store, or buy sticky wall dots just made for this purpose from Amazon. (I got mine in rose gold!) Then follow her directions for hanging them right! Love this! 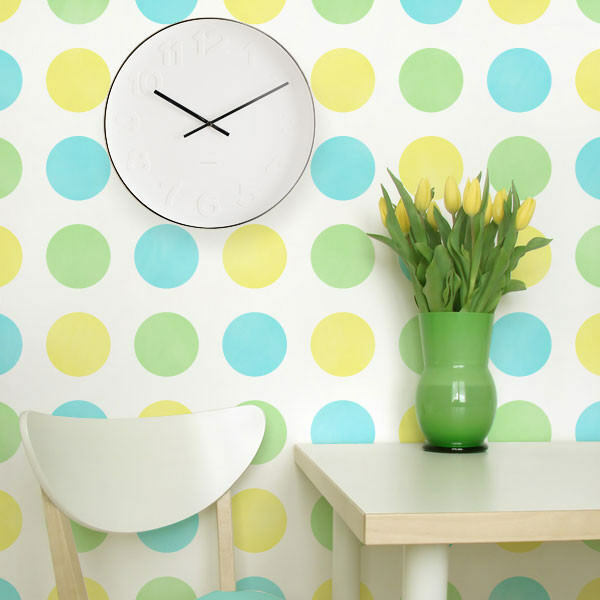 Want an allover polka dot wall, or walls? 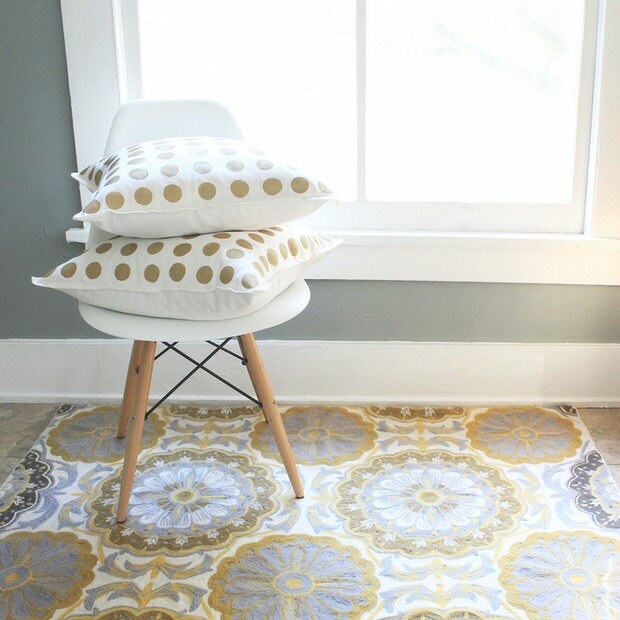 Then try this stencil from ‘Royal Design Studios‘ to DIY them in any room! Think of the color combinations you could use to customize this look. 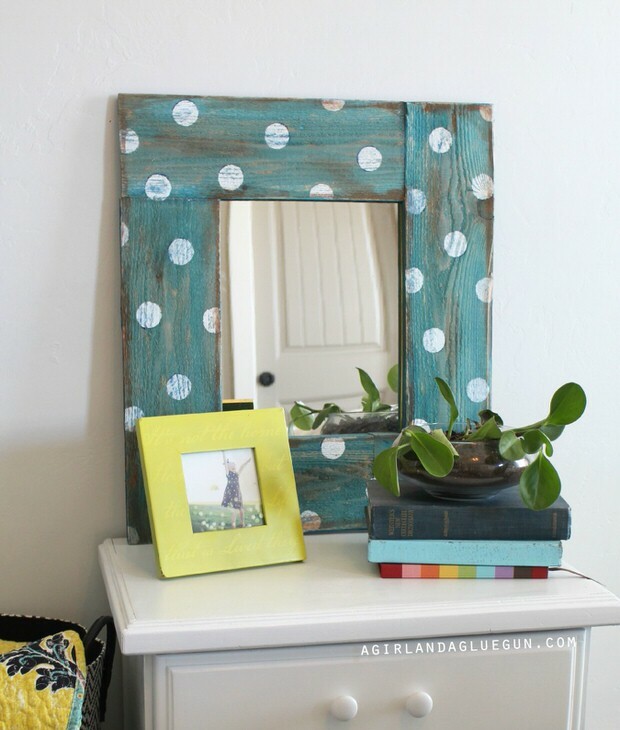 This DIY dollar store polka dotted mirror from ‘A Girl and a Glue Gun‘ is super easy and a fast project, and really inexpensive as well. This is an accent with personality! 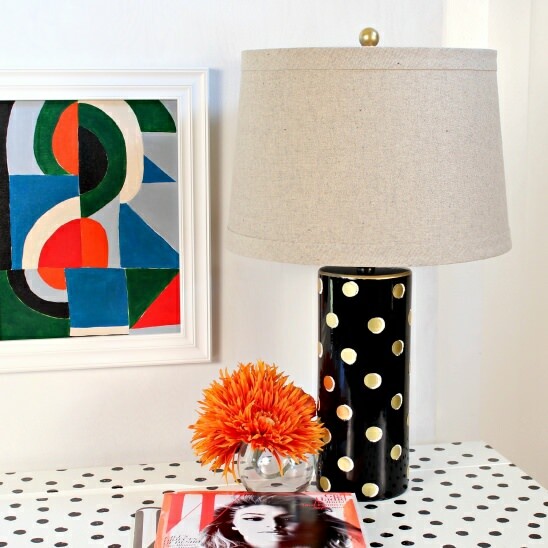 This Kate Spade lamp DIY from ‘Kollabora’ by Mark Montano is chic and elegant. And easy! 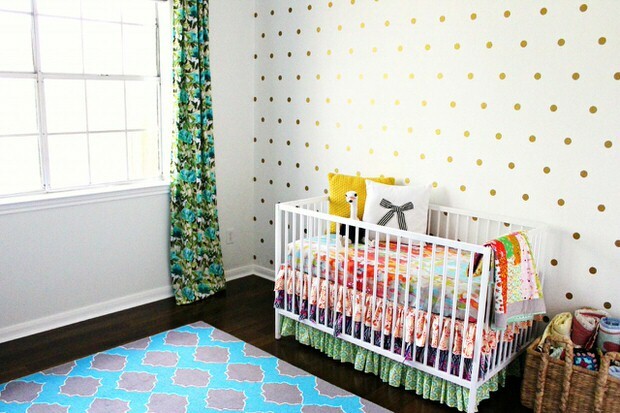 Our last project are these sweet DIY polka dot curtains from ‘Lolly Jane‘. They are smart and fresh without being stuffy. It’s the details that count folks! 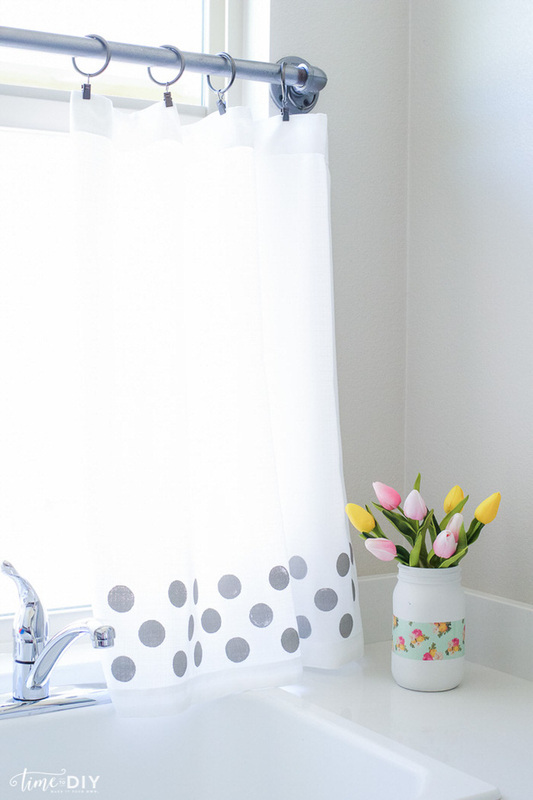 If you loved our post on Projects with Polka Dots, then be sure to check out Tiny Bath Makeovers and Craft Storage Ideas for Small Spaces!